Against this backdrop, the present government has placed high priority on developing transport networks within and across the border. I believe railway connectivity, in particular, is of vital importance to a landlocked country in order to reduce transaction and transport transit costs, diversify international trade and transit, and promote tourism and service sectors of the economy. 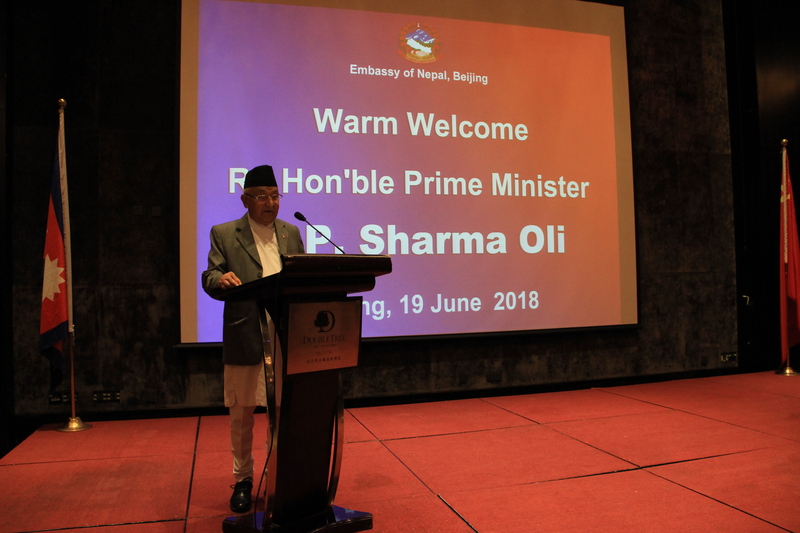 Therefore, with a view to improve connectivity and trade, Nepal and China agreed in principle to develop railway network, across the Himalayas,during my first visit to China in March 2016.We are committed to taking forward this important initiative further, and develop the cross-border railway infrastructure to mark a new era in Nepal-China friendship and bilateral co-operation. In addition to railways,Nepal and China are also committed to developingmultidimensional connectivity networks of roadways, airways, communications, and energy.